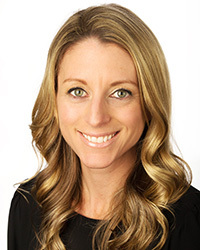 Dr. Nicole Miller became an assistant professor for the Department of Physical Therapy at the University of St. Augustine for Health Sciences in 2017 after serving as a contributing faculty member since 2012. Dr. Miller has worked as a physical therapist in the outpatient orthopedic setting since 2007. She completed an orthopedic residency at Rancho Physical Therapy in 2008. In 2009 she became board certified as an Orthopedic Clinical Specialist (OCS). In 2012 she opened a clinical biomechanics laboratory. She is a member of the American Physical Therapy Association and its California chapter. Dr. Miller is also an active volunteer for the Glen Doherty Memorial Foundation, which helps ease the transition for special operations individuals from military life and work to that of a civilian.